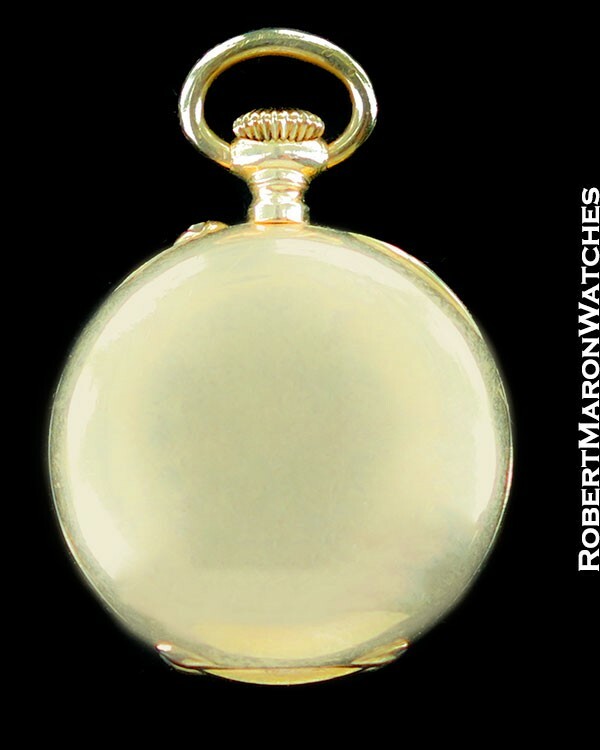 In the watch world, miniaturization has always demonstrated watchmaking mastery. 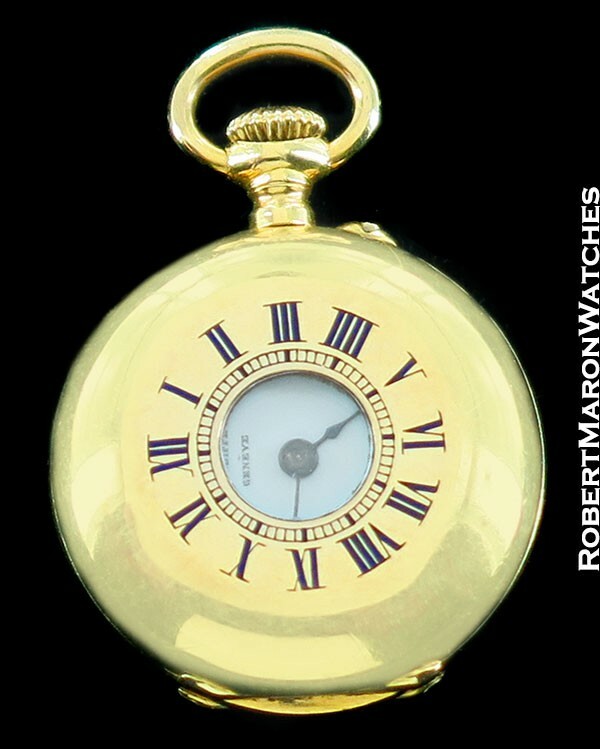 So, at a time of 50mm diameter pocket watches, Patek made quite the statement with this 20mm 18k hunter case pocket watch with keyless cylinder movement. Front lid has blue enamel roman numerals and tiny crystal. Original untouched white dial has roman numerals, minutes scale and original blued sword hands. 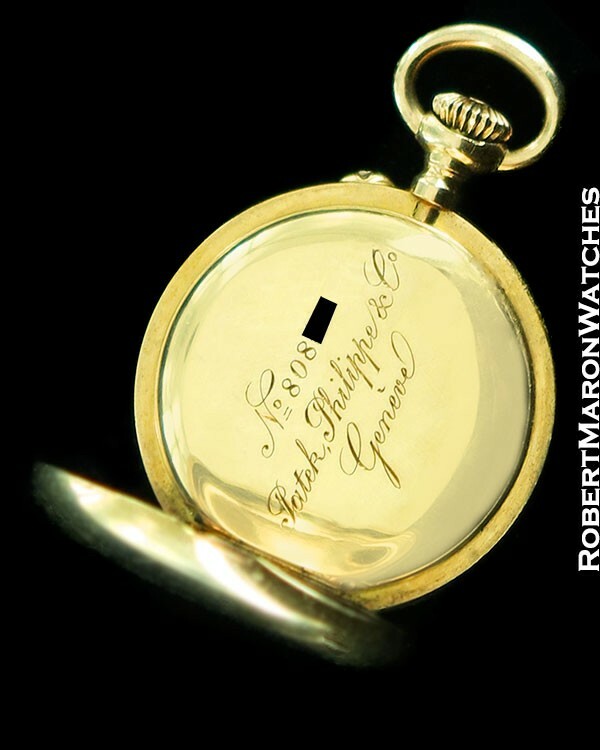 Inside case back is engraved with movement serial number 8085X and “Patek, Philippe & Co”. 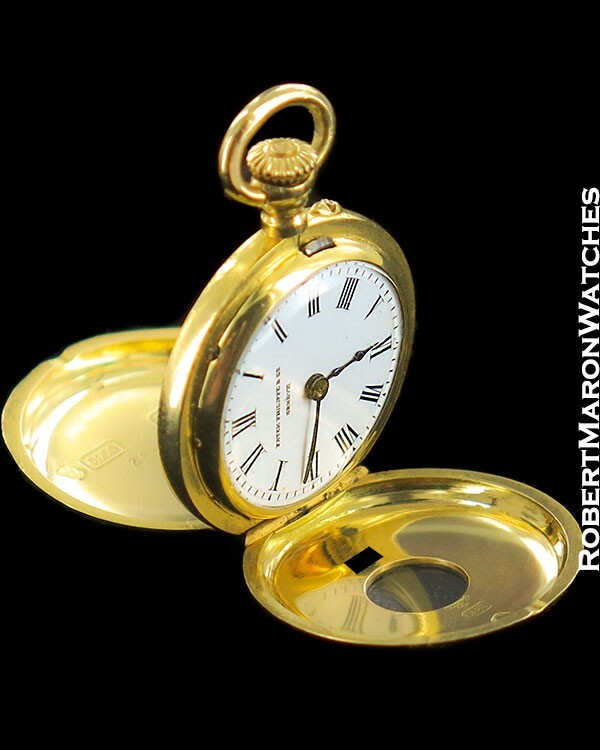 Inner surface of outermost rear back has 18k hallmarks, Patek stamps and case number 20426X. 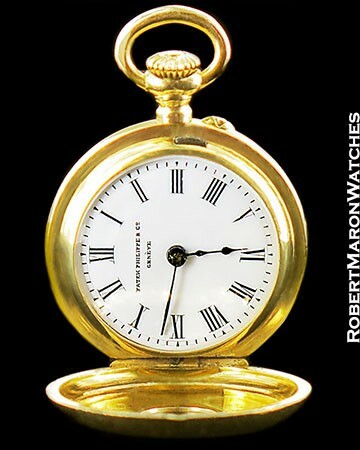 Movement is 7 lignes cylinder movement and this is the smallest production Patek movement and watch. Movement winds smoothly and runs. 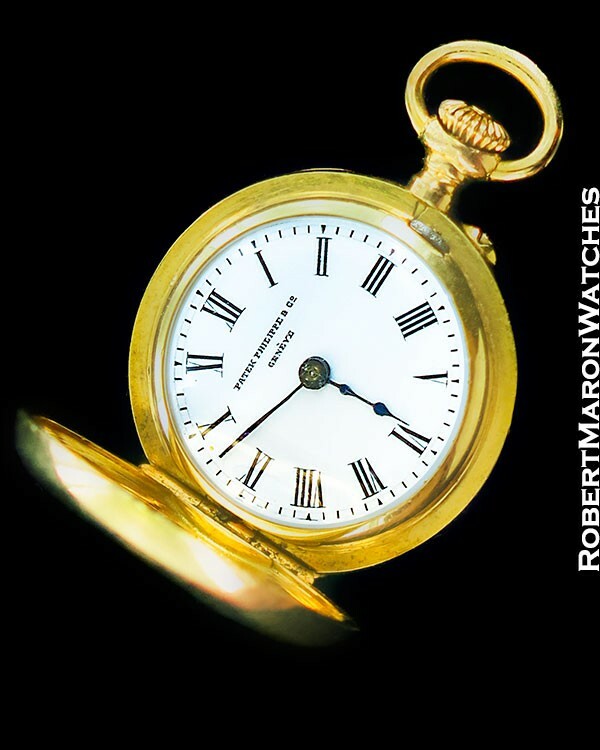 This remarkable watch is in mint+ original condition and is going on 125 years old. Amazing!